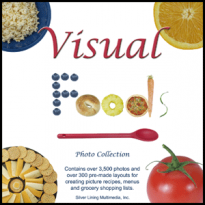 Functional Living Skills and Behavioral Rules contains over 1000 full-color photographs of children, adolescents, and adults doing a variety of functional activities. Activity areas include daily schedules and routines, personal hygiene/grooming, toileting, homework, leisure, simple meal prep, community, and behavioral rules. 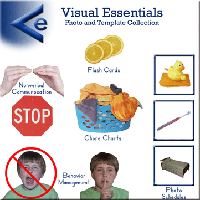 The photos on this CD were created by Robin D. Allen, PhD from Behavioral Services & Products, Inc. and are based on the photo boards which she has successfully used with many special-needs children and adults. To view sample photos from the CD, please visit Behavioral Services and Products.